18 Jul 2017 --- One of the most striking international phenomenons in recent years is how consumer attitudes have changed towards sugar. In the food and drink industry, reducing sugar content, swapping out the white stuff for sweeteners and natural alternatives has become top priority for food innovators and manufacturers the world over and across countless applications. From bakery to beverages, breakfast cereals to infant nutrition, flavors to fragrances, slashing sugar and telling everyone about it is paramount. The conversation surrounding sugar reduction is still very much alive and kicking as evidenced recently at IFT 2017 in Las Vegas where it was among the key trends. You can learn more about this through a FoodIngredientsFirst’s show review here. In this special report, FoodIngredientsFirst examines some of the latest trends in this regard, delves deeper into the natural ingredients making waves in the industry and looks at how sugar reduction ripples throughout global markets. International Taste Solutions (ITS) has extended and improved its range of sugar reduction solutions, achieving as much as 50 percent sugar reduction in some applications. Through a range of cutting-edge solutions, the company has a variety of reduced-sugar products with a continual strategy to meet the challenges of producing healthier NPDs. “Aside from the physical characteristics of sugar, we help to build back the taste. SweetLITE's taste is comparable to sugars, with no back notes or negative aftertaste,” Mike Bagshaw, Founder and Managing Director of ITS told FoodIngredientsFirst. The soda giants and multinationals in the soft drink industry have obviously been doing this for a while against a backdrop of consumer demand for reduced-sugar products and increasing calls for governments to legislate on the issue. Reformulating a much-loved product by removing or replacing the sugar, while maintaining the familiar taste is a challenge for most companies. But that has not stopped the majority of key players from adding a wealth of no- or low-sugar lines to their portfolios. This is evidenced in the UK phase out of Coca-Cola’s stevia-sweetened Coke Life which started in June following sales of the soft drink falling flat. The move comes as Coca-Cola increases its investment in Coca-Cola Zero Sugar as part of its on-going zero sugar strategy, canning the stevia drink in the process. According to Coca-Cola, this will allow the company to “simplify consumer choice between sugar and sugar-free formats” as it continues to focus on the growth of Coca-Cola Zero Sugar and Diet Coke. Aside from this example, beverages is one of the largest segments where sugar reduction is under the microscope. Paul Collins, Director of International Sales and Marketing at GNT Group, puts it well. “There are a number of trends running in parallel across the beverage category and some specific to certain sub-categories. 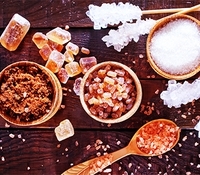 Clearly, sugar reduction is more than a trend, it’s become a norm with existing products being reformulated and new products based on lower sugar from the outset,” he tells FoodIngredientsFirst. GNT’s EXBERRY Natural Colors are concentrates produced exclusively from fruit, vegetables and edible plants that also have a clean label. Now confectionery giants like Nestlé are not only reformulating, but making pledges to do even better in achieving sugar reduction targets for the future. Nestlé UK and Ireland is stripping out 10 percent of sugar from its confectionery portfolio by 2018. The move will see around 7,500 tons of sugar removed across a number of well-known brands through a range of methods and initiatives. Brand favorites like Aero, Quality Street, KitKat, After Eight, Animal Bar, Black Magic, Blue Riband, Breakaway, Caramac and many more chocolate bars will be stripped of sugar as part of the Nestlé UK pledge. A spokesperson for Nestlé UK told FoodIngredientsFirst that the move to reduce sugar isn’t new for the company, in that they have been reformulating for a decade, but Nestlé has a continuous focus on how to make products better for consumers. Stay tuned with FoodIngredientsFirst, where the second part of this report will be available tomorrow. ADM’s Wild Flavors & Specialty Ingredients business unit, or WFSI, offers a comprehensive portfolio of ingredients to help customers deliver products that address taste, texture, nutrition, and function. That portfolio also includes a wide range of proteins, lecithins, colors and flavors, edible beans and related ingredients, hydrocolloids, polyols, soluble fiber products and other ingredients.